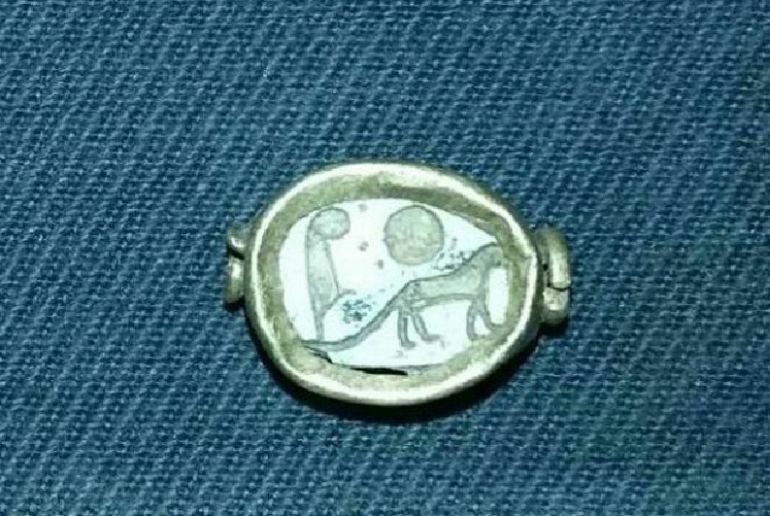 The Etruscan civilization is still mired in mystery with numerous theories being concocted when it comes to their origins. To that end, latest mitochondrial DNA studies have revealed how they were apparently related to a Neolithic population hailing from Central Europe. In Roman terms, the Etruscans were possibly called Tusci or Etrusci, and their heartland is thus known as Tuscany, the picturesque north-western part of central Italy. 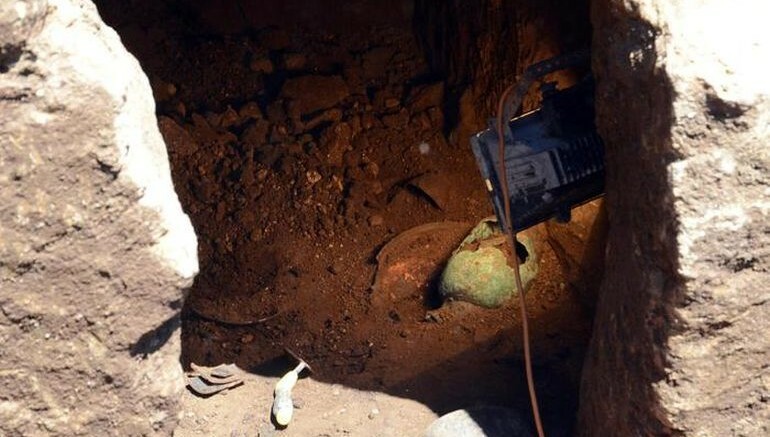 Now beyond origins and etymologies, archaeologists have recently discovered and successfully excavated an ancient treasure-filled tomb of an Etruscan princess, dating from 8th century BC. The tomb was found in a subterranean chamber 3 m (10 ft) below the ground level at the archaeological site of Vulci, in Lazio. 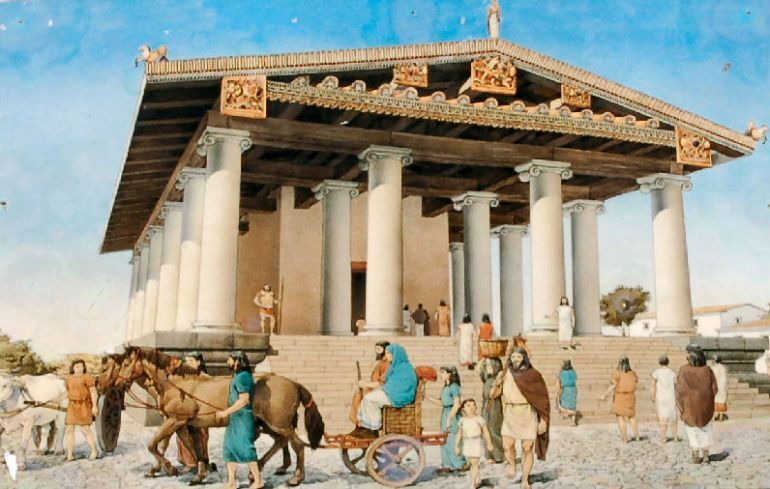 Artistic reconstruction of an Etruscan temple in Vulci. Oddly enough, the researchers were able to locate the tomb just in front of the ticket office that allows access into the Vulci (or Volci) site, which was one of the major ancient cities of the Etruscan League. But even more interesting is the fact that they were aided (rather unintentionally) by robbers who had previously tried to loot the tomb. Fortunately enough for the historians, the robbers were only able to reach up till a different tomb that was located just above the princess tomb. So basically, the archaeologists were ‘showed the way’ to the actual tomb, and they successfully raced against time to safely clear out this incredible burial chamber. 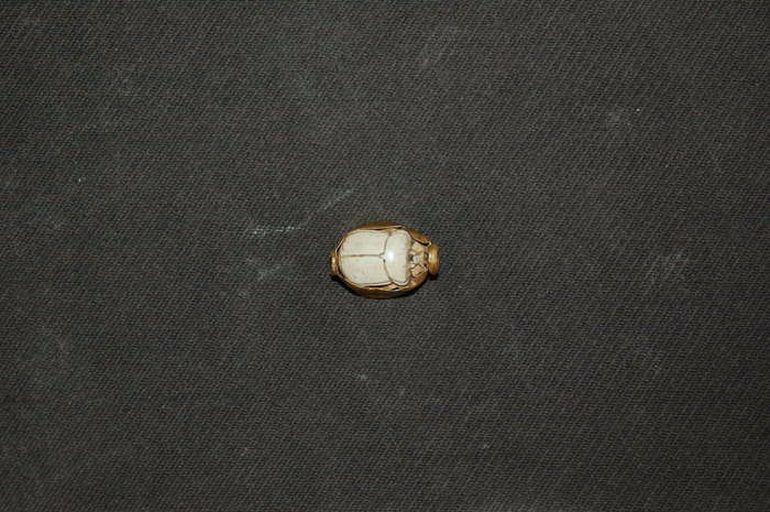 We call it incredible because the subterranean tomb revealed a wealth of precious objects accompanying the remains of a young girl (who was wrapped in a rather flimsy cloth). 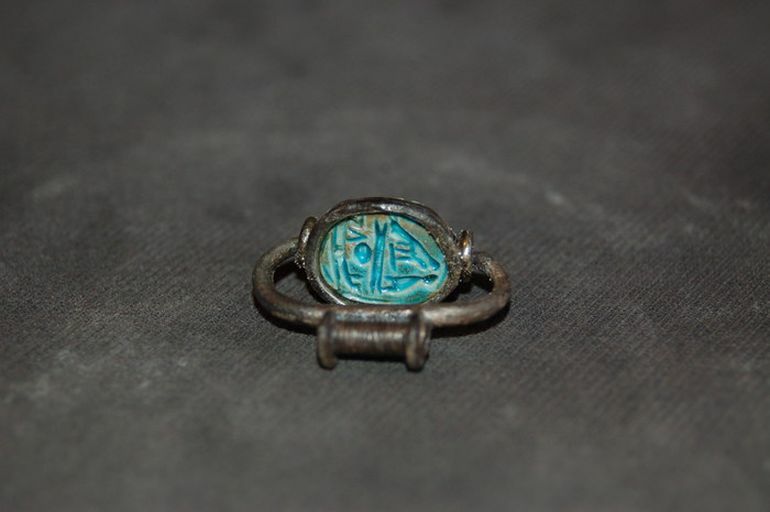 The artifacts range from valuable jewelry specimens to jars, including an ostentatious Phoenician amber necklace and two Egyptian scarabs made of gold, ivory and silver (that hint at overseas trade relationships). And beyond their precious nature, the archaeologists were also impressed by the intricate craftsmanship showcased by the ancient artisans working on these objects. The range of tomb artifacts will be further analysed at an on-site laboratory, while the researchers are also looking forth to extensively excavate the precise location in April. Intriguingly enough, the expansive Vulci site in itself has revealed over 15,000 tombs, thus aptly suggesting the historical significance of the Italian settlement (around 80 km away from ancient Rome). 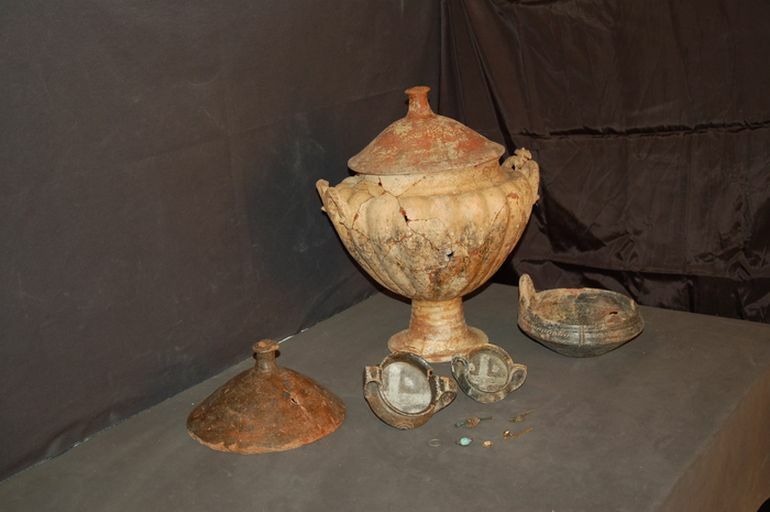 However, in an ironic turn of events, such enviable archaeological credentials of Italy have often attracted the attention of looters, with an estimated $510 million in valuables looted from the countrywide historical sites with over 100,000 illegal raids being made into tombs.